This 6 x 6 in. 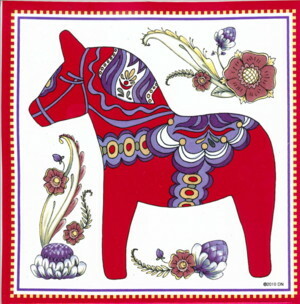 ceramic Tile features a Red Dala Horse. This is a ceramic tile.